The importance of contemporary television broadcasting for the shaping and development of national cultures and identities is increasingly evident. Television as the privileged medium for the dissemination of information and for mass entertainment has irreversibly altered the manner in which nations perceive themselves and each other. This volume explores the multiple and complex ways in which audiovisual developments in two important European states have impacted on the life styles and attitudes of the population at large and its governing elites. This is the first study that is devoted to the highly significant roles played by France and Britain in the formulation of European audiovisual policy and that provides a truly comparative analysis of the contemporary audiovisual scene in the two countries. 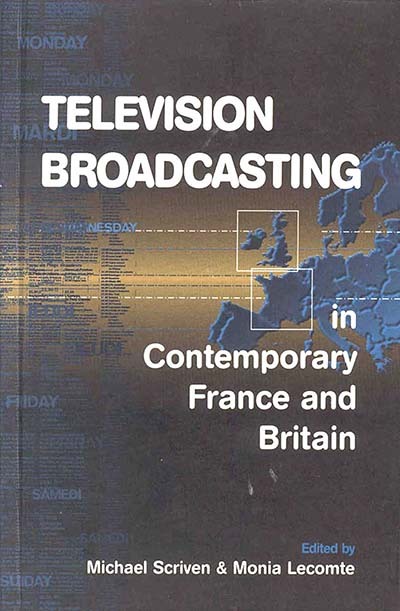 It consists of four complementary sections: an overview of the audiovisual landscapes in Britain and France; an analysis of television programming; an account of the new cable and satellite media, and an assessment of European audiovisual integration. Overall, this volume offers a constructive contribution to the continuing debate on national and European broadcasting. Michael Scriven is Professor of European Studies at the University of the West of England, Bristol, and has published extensively in the field of French and European intellectual history, culture, and politics. He is a co-editor of Sartre Studies International. Monia Lecomte is Research Assistant at the University of the West of England, Bristol and completing a doctoral thesis on French television.